As the food industry continues to boom, here is a start-up venture that has entered into the domain, and with a vision to enhance the quality of food that are consumed by passengers travelling by rails. Read on to know the story of its growth, spreading across the nation. In a country like India, where railways is one of the major modes of transportation, it is undeniably challenging to manage every aspect of travel including food, hygiene, electric power and many others, in the large travel network; food especially, is a major problem faced by millions of passengers every day. The rice that is cold, gravy that is under quality, idly and sambhar that has lost its taste, those breads that are shabby, are the kind of food that the major percentage of travellers have experienced throughout their travels in railways. The government as well cannot be blamed, considering the huge number of people who need to be monitored. Amit Deep Kumar who was travelling from Jaipur to Varanasi in the month of Dec 2015, happened to face the same problem. When he found that there were no pantry cars even in trains in which people had to travel for more than 42 hours, the condition destroyed the fun of travelling, but also led him to innovate a solution to the problem. While the entire country continued to complain about the problem, Amit decided to come up with a solution. The very next day, even before the idea was given a shape, it was named ‘Khanagadi’(Khana meaning food in Hindi, and Gadi - vehicle). “I realized that millions of people travelling through railways, continued to face the same problem as themselves and that they deserved to be served a quality and hygienic food” says Amit. 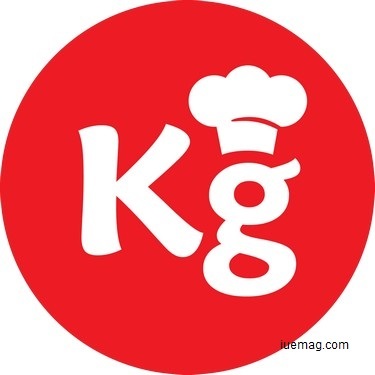 “That became the vision of Khanagadi.com, to help serve the best food to every passenger to their train seats, using technology and food-designing, while technology became the core to scale fast and food-designing became the source to provide exceptional food experience to the passengers in trains. I had spent last 5 years in developing consumer-centric tech-products in the healthcare domain; I also had vast experience in the food industry. So it was possible for me to relate to the expectations of consumers. This helped me give a clear structure to the model. I decided to make it really convenient for people to connect with us through our website, or phone call or whatsapp. We had to connect with the right vendors, make them understand the vision and inspire them” adds Amit. As the small team at KhanaGaDi began to develop the online platform, they learned that it wasn't as easy as they thought it would be. “There was a huge difference in our thoughts when we planned and when we actually executed the plan. There was so much to be considered. We travelled to more than 45 different cities to verify stations and find out vendors, connecting with them. Meanwhile, there was so much money that we had to spend as well. We had already decided that we wouldn't keep burning cash and then think of the profit like many other startups that just keeps burning cash and believes that they can earn only after sometime. We were clear about where we would get the money from. At the same time, initial set of investments were necessary at that point of time. After the first few months of travel, we decided we had to pause at a stage and work on the technical aspect of it as well. Rakesh Gupta, the current Chief Technology Officer at KhanaGaDi joined us by then and together, we worked on the entire technology platform, design and architecture. Our first launch was in the month of July 2015, serving quality food in about 28 stations. From then on, there is no look back" says he. “When Amit told me about his plan to create a virtual e-Restaurant chain on Indian Railways Network and connect train passengers with nearby certified KhanaGaDi vendors, I could see the shine in his eyes and the kind of tech-product he was talking about; he asked me to be a part of this journey and handle the core technology aspect of it and I was simply exicted to join this great team” adds Rakesh. The choice of vendors is as well a procedure where the vendors are asked certain questions, to understand both their psychology and about their maintenance of the quality. Only after understanding the vendor, he/she is chosen to have a listing in the site. “We have ensured that the food is made fresh and hygienic. We design the menu and do not just allow the vendors to serve what they want. We customize it according to the person. Today, every second person suffers from diabetes or blood pressure. We do serve food according to their requirements. The system is maintained such that the person gets the food of his choice. Someone travelling from north India to the south may not find north Indian food while travelling in the south. We ensure there is availability of cuisines that the customer is likely to have. We get orders even from passengers who travel in luxurious trains like Rajdhani and Shatabdi. People want tasty and healthy food; They want varieties. We have worked on various algorithms to design the right menu for each station. We use the customers’ feedbacks as well, as quality checks. The vendor gets removed from our listing if the customers are not really satisfied.” says chef Awasthi, about the quality control of the system. The small team of 9 members has ensured to take care of the entire network, in the best way possible. “We have tried to make the best use of technology. Irrespective of where we are, we can still track ongoing transactions. That helps us manage our work and other priorities” states Amit. 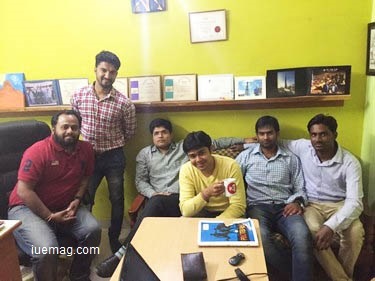 The challenge of finances is faced by almost every start-up and was the same with the team as well, but the way the challenge was considered by them is certainly enthralling, “I have had 18 years of experience in the industry, Rakesh with 14 odd years and Chef Awasthi with more than 42 years. Each of us have lived a different lifestyle before we started. Now we had to make some sacrifices. We have families; getting them to adapt with the current situation is hard too. What pushes us is the end result; the big picture makes us take a bigger step. We really believe in the bamboo philosophy - although you water it every now and then, you would not find the growth for years together and after five or more years, it grows so high within six months time” is their way of facing challenges says Amit. The team targets to enhance the features and make the availability of their quality food to travellers moving in other modes of communication as well. They also continue to enhance the menu. They aim to serve 1000 orders per day in the next 6 months time. You could follow the updates of Khanagadi.com on Facebook. You could also download the recently launched android app from Google Play. Drop your comments below if you wish to connect with the team of Khanagadi for any associations, and our team shall help you connect. Any facts, figures or references stated here are made by the author & don't reflect the endorsement of iU at all times unless otherwise drafted by official staff at iU. This article was first published here on 6th April 2016.